SELLERS MOTIVATED! BRAND NEW PRICE! This is true Arizona living! Walk to Troon North Golf course and the Dynamite Grill restaurant! Stonedge gated community is so well-kept, so beautiful with stunning views all around you! Your 3 bedroom 3 1/2 bath townhome has so many dramatic features including an impressive rotunda entry, huge picture windows with reflective film for privacy throughout, two gas fireplaces, rooftop deck and back patio with BBQ for outside living. Chef’s island kitchen with upgraded appliances including a GAS cooktop. All 3 bedrooms are ensuite and large. Master bath includes beautiful walk-in snail shower with multiple shower heads. Directions: North on 103rd St, take a left on 104th St. Immediate right on White Feather. Stay to the right, proceed through traffic circle past pool to gate. Take 1st Right in community to 2nd building on left. Partial kitchen update in 2012. Approximate size: 2362.00 sq. ft. Please, send me more information on this property: MLS# 5880525 – $534,900 – 28990 N White Feather Lane Unit 172, Scottsdale, AZ 85262. 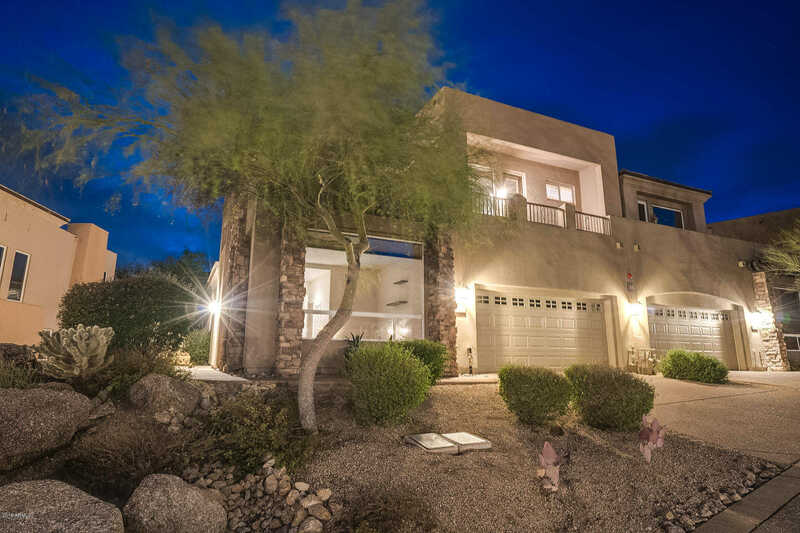 I would like to schedule a showing appointment for this property: MLS# 5880525 – $534,900 – 28990 N White Feather Lane Unit 172, Scottsdale, AZ 85262. This content last updated on April 18, 2019 16:52. Some properties which appear for sale on this web site may subsequently have sold or may no longer be available.